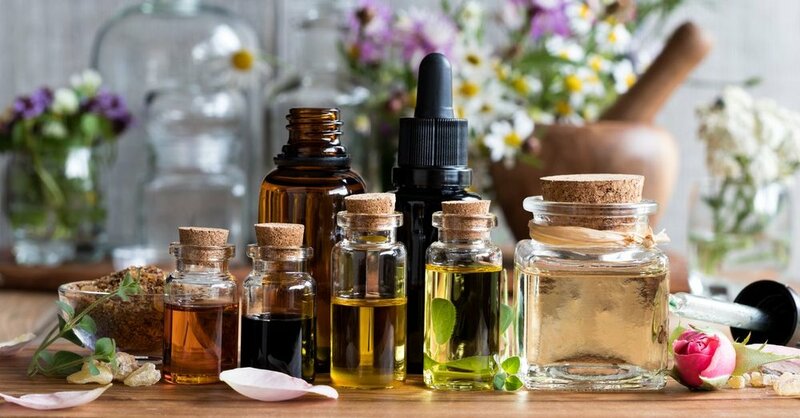 Did you know that you can use Essential Oils to rewire your brain, clear a runny nose, treat herpes, relieve constipation and our favorite: care for your beard? When we say that having a beard is more than just a trend, it's really a part of your lifestyle, and that includes maintaining it in ways that are not only good for your skin and facial hair, but also good for the environment. With all of the products on the market, it can be overwhelming with all of the information on how to narrow down what's right for you. Here at BMWB, we like to keep things simple from a holistic stand point. Some of the biggest things that plague black men and their beards is tied to not knowing how to care for it: everything from itchy beard, patchy beard, beard dandruff, slow beard growth and beard acne/ingrown hairs. Today, we're going to tackle all of those problems with simple solutions. "Must Have Beard To Enjoy This Ride" Ladies T-Shirt on SALE NOW! Lavender Essential Oil isn't just good for relaxation, it also has anti-inflammatory, anti-microbial, sedative, soothing, oxidizing and healing properties. It is especially effective in relieve all the issues that comes along with dry, flaky and itchy skin, including acne, inflammation, itching dermatitis, and even beard dandruff. Eucalyptus Essential Oil gives a clean scent, and is extremely effective against dry and damaged skin. Used for dandruff and itchy skin, you'll find eucalyptus as an active ingredient in many anti-dandruff shampoos. You can also use Eucalyptus Essential Oil for beard acne and ingrown hairs. Not only is peppermint oil good for itchy skin and and beard acne, it also helps balance skin pH and keeps dry skin and dandruff at bay. Peppermint Essential Oil also has regenerative properties that keep your hair healthy while encouraging hair growth, and, it all smells really good too! Cedarwood Essential Oil not only rewires your brain (use this in a diffuser and meditate away), but it also boosts blood circulation around the chin and cheeks to stimulate new follicle growth. Filled with also anti-fungal, anti-septic, antibacterial properties, this EO works well with a range of hair and beard issues. This EO is overlooked, but let's not count out how Ylang Ylang balances the oils in your skin while also stimulating the increased production of hair follicles for beard volume. *Essential Oils alone are very potent. The top 2 carrier oils (Camellia Essential Oil and Almond Oil) are used to dilute the above essential oils and should be done at a rate of 2%, equating approximately 15 drops of essential oil to 1 ounce of carrier oil. Quinn is a Lifestyle + Wedding Photographer, Content Creator and Writer out of New Orleans. Considering herself a Visual Storyteller and Content Creator, Quinn specializes in documenting love, life and art through her photography.